Hertfordshire-based lawnmower manufacturer Hayter has been kind enough to answer a few questions on lawn mowing and maintenance for readers at Lawnmower Larry. Larry: When and how did Hayter get started, and why? Hayter: Douglas Hayter was born in Bishop’s Stortford in 1914, where he lived before starting his working career. After working a few different jobs, he eventually moved into the building trade and setup his own business in 1937. During the war years, he was employed helping the war effort through repairing and constructing farm buildings, as well as maintaining and servicing farm machinery. He was also working on ministry projects. In the years that followed, the business developed several professional and domestic mowers such as the Hayterette and the Hayter Harrier rear-roller striping mower, today synonymous with the Hayter brand. Larry: What is it about Hayter that sets the brand apart? Hayter: Aside from manufacturing high-quality mowers that deliver a crisp, professional finish, Hayter has continued to develop its products in Bishop’s Stortford, Hertfordshire, where a high number of products are still being manufactured to this date. Hayter also holds the Royal Warrant for the supply of machinery to HM Queen Elizabeth II, a title that has been held by the company since 1960, making it the quintessential British mower. 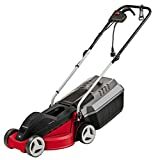 Larry: What sort of mower do you recommend for someone on a budget who cares about their lawn? Hayter: The Hayter Spirit range is perfect for those who are keen to get a professional-looking lawn for a good price. The Hayter Sprit mower starts at £329, with the top model coming in at £499. 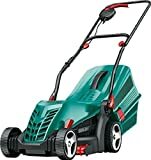 There are several versions and functions to choose from such as fully electric, petrol or a Spirit including a rear-roller for those looking for a stylish striped lawn. Larry: How do you see the lawncare industry going – will robot lawnmowers and robotic gardeners be commonplace? Hayter: The robot lawnmower category has seen significant growth over the past couple of years and there is a place for it in the market. However, we have seen a continuing trend of homeowners who enjoy spending their time gardening and mow their lawn as a way to relax. Over the years that Hayter has been designing and manufacturing lawnmowers, customers have had the pleasure of having a nicely cut lawn with the quintessential English stripe for them and their neighbours to admire. Now with social media, the “Hayter stripes” can be admired by keen gardeners around the world. We believe that as technologies evolve there will inevitability be advances towards making it easier to maintain your grass. However, we believe there will always be a place for a beautifully striped lawn, which unfortunately isn’t something existing robotic lawn mowers are able to achieve. Larry: Can you give any simple tips for time-strapped homeowners to keep their lawns healthy? Hayter: The top three things to remember for a lush green lawn is to cut, feed and remove debris. By removing debris, such as dead organic matter or moss, you will allow sun and water to better reach the roots and help the plant grow. It will also help you get the best result from things like fertilisers and feed. There are seasonal feeds especially developed to provide the right nutrients for each season. By using these you will help your grass grow stronger, greener and help reduce the likelihood of weeds. Finally, it’s important to remember to trim your lawn to maintain optimum grass health. In autumn, winter and early spring it’s important not to mow as frequently and use a higher height of cut to avoid stressing the grass. In the warmer months, you can increase the frequency and reduce the height to achieve your desired look. Regardless of season, you should never remove more than a third of the grass blade at any one time to avoid impaired root growth, making the grass more resilient to weeds and thatch.